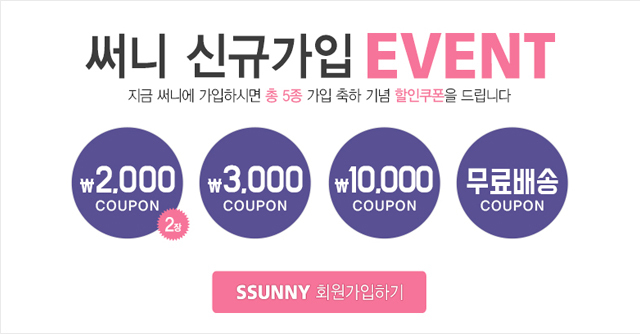 Korea Womens Apparel Pretty Wardrobe [SSUNNY]. Please coordinate the day-to-day special ~. 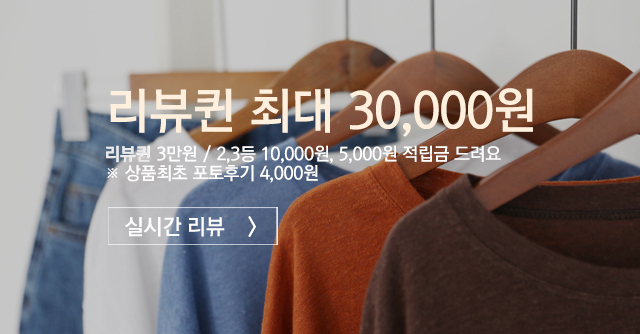 Korea fashion variety. Dot pattern and hem ruffle is lovely Long One Piece! Linen jacket which is comfortable to wear while refreshing the coolness ~ It is the material of the linen which it is in the summer and it does not stop in the summer! It is a casual mood with a stingray pit Man to man ~ It is a daily item of solid material. Well-Made Sunny Production Momchip pants to produce a natural mood with a calm yet delicate wash. Good to wear as a daily item. It's a short-sleeve long T-shirt that is easy to wear without fuss! layered style seven-ply sleeve one-to-one and a simple Training Pants set. Linen short jacket that creates a casual mood with simple No collar design. It's Easy Denim pants with banding on a neatly falling exhaust pit. It's a cozy hoodie with a pastel tone of color. Cardigan of basic and neat fit. It is a must to wear daily in season! ★ ~ 4/30 days T-shirt is a bonus !! It is a high quality product of Linen Jacket ~ Sunny Maid which is simple yet comfortable to wear even in hot season. Wai Wan Line / wall / four / can! The winds of revolution based underpants, front-line skirt blowing dress and leg lines are not revealed! Jatgo friction, because the material in direct contact with the weak flesh euri Finishing rayon! Now Sonny self-produced and put on your peace of mind! 27007 - [SS] Bandingjean # Mochi Marion cut - MARCH 10 just a week until Friday, lice price !! gain buy now! Short fleece short-sleeved jacket, item to wear lightly in the morning and evening! It is designed to look slim and looks slim leg line. It also gives comfortable fit by waist banding. Slim Fit Boot cut Slacks ~ Summer Boots cut in the sunshine is so much loved I came back to the autumn version! Neat It is a Stripe shirt that produces a lovely mood with a reverse bowknot point on the front. The shoulder line covers the shoulder line with Freel detail, and it is full of loveliness! The basic layered second basic line Training Set! front, back All you can do without bothering me. Lovely pink tone blurred holographic engraving ~ I'll make a pretty face Tee! It is a feminine mood flower one-man man who lives with bright color and solid feel. Sunny Vest item Anna shibori Man to man 2 Tan! Stingy stomach can be worn daily without being attached to body shape with stingray Man to man !! It's sunny too! Versatile Inner items that can be layered anywhere with loose feeling and loose fit. Unique second basic from Fabric Choice Sleeveless shirts. There are two kinds of plain dagaras, and it is possible to produce a wide range of choices with a wide choice, and it is as solid as its own production. 24755 - [SS] Mochi Black Skinny Pants - It is sold out with in only one day!! flooded orders~! Thank you for trusting us and your order! (S / SSeason) Sunny Self-production, mochi edition's season2!! The basic of basic item black skinny♡ It has good elasticity and nice fit! zzone-zzone~~ It is really streched!! (^^)// Share Mochi It item together! The trench coat's formal! Material, pit, color etc. Neat Raund neck T-shirt in the texture of embossing texture with shibori processing. Basic to the hot reaction of Mochi Cherry Pink Slacks Navy, Black added production! Basic color yeoseo to complete utilization of ~ I can not function !! ~ Mochi spring slim Sunny Slacks making it appear that the missing line is longer and slim legs ~! The point is the all-round Long Shirt !! Shirt that you want to get because color is so beautiful because it is high quality by sunny self-production! It's a glamorous puff dress with colorful blossom patterns. U-neck, V-neck, Raund neck 3 type is a good basic tension T-shirt. Stripe Man to man ~ I have a sidewalk. It's a slip that makes a clean and feminine atmosphere. Perfect for one piece or long tee! It is comfortable to wear because it is soft in touch with the skin while touching the skin. It is very beautiful line! It is easy to wear as a waist shearing point with a long feeling in cotton fabric. Second Basic and Brand Collabo !! Even though it is a shirt, it is very easy to wear when you wear it. Sunny production to believe! Linat's pin tuck skirt with Neat incision line and back trim. An ethnic mood with luxurious pattern sense - Good cover with a comfortable line! It is also good as a summer holiday in summer season! This is a girl who prints in the basic pit and is pointing. Short T shirts! It is an Ethnic Patterns Dress with Delicate Mood with a pointy tester. It's nice to add a surgery to the one-man design of the Basic design and give it a point. It is long-sleeved, but there is no problem ~ It is refreshing even in summer in Linen material! Good sun protection! World Pretty Pretty Check Pants, home ware is good, and front of house is also good as a drink look! You need to get ready for Linen 's Nite right now ~! There is a good chance of choosing from a light color to a calm color, and a cone circle! Come on! Open-type Linen Jacket that anyone can wear fashionably, No collar design reveals the clavicle line and produces a slim fit! 24729 - [SS] Slabs tee # Long version (1 + 1) - Fit, material seam surprised reorder congestion [cumulative sales 20,000 - sseuk to say - I do not need to cart! This time longer! I slammed the long version of Slabs tee !! Sunny nimdeul request is added to the captain decided to self-produced V-neck! I'm ready to be a whopping 1 + 1 !! concerns with disabilities choose 7 colors for Choice so you can pick out two sheets kid - Please choose freely !! Fluffy, feel good on the skin as Soft material! I want to wear wide pants banding keep it free :) as wide a lean fit the cover, as well as to comfort the waist banding! Lower body plump eonnya are more welcoming not be spared because I never give up until the child style ?! Pretty Printing's Charlie Man to man ~ Neat This is a casual mood with round neck and printing. Black skirt with pleats in skirt Pleats color combination! I feel like I'm dressed up but I am comfortable enough to wear because of linen, and it is comfortable and luxurious. It is a sunny production dress to wear believing. The stiffness of the linen is now ~! A cardigan style jacket that can be worn in a cool texture with a linen and rayon blend. Pretty Color Many ~! Flowing Linen blend material Basic Tee, Purple Storage Round Tee! Chic Pants Inside Inside Inside Banding I like to wear inside and perfect fit Pants! Neat Plain design plus Cotton Race decor adds a bright impression shirt. 25507 - [SS] mochi ice # teuim cut-Order 100% customer satisfaction + Add another accident again thinking ~~ ~! Even if none of Ansan people, there is only one mountain people! I know - except for the Mochi Summer Edition # teuim cut! Po-Po in Cool stretch, Cool kulringgam, hit the pit! Tell me ... what are you doing right, prepare in advance before the start of full-scale heat! The chest pocket is a pointed mood of Khaki Color. Kara Long Jacket to produce a natural mood and fall naturally. The casual line while the line is really beautiful. Underpants Summer essentials made from natural materials. Take one of the Underpants that is breathable and non-blocking! It is a Sneakers blower that wears casual and stable design. Good Rattan Chips Slippers that are perfect for daily life! It's a Delicate Silver Necklace that makes your neckline even better. It's a lovely mood of pearl Decoration hairpin that is not too sophisticated. The relaxed shape is a mesh bag that goes well with the seasonal mood. A bra top that lets you relax without busting your nose with Noyer! I feel cool and I wear cool clothes! Wallet with various designs as a wallet or clutch as a luxurious child with a half moon design! (8color) It's a simple design of the muffler. Stylist for the clothes just visible mitmithae great bet! Thursday also became chilly weather protection as good! Supple feel touching the skin of a light material called gabardine bodeulhan texture - simple items that can produce a simple, Vest Chic atmosphere! Sneakers are slim but light and fluffy to the point of clinging, but with slim details.